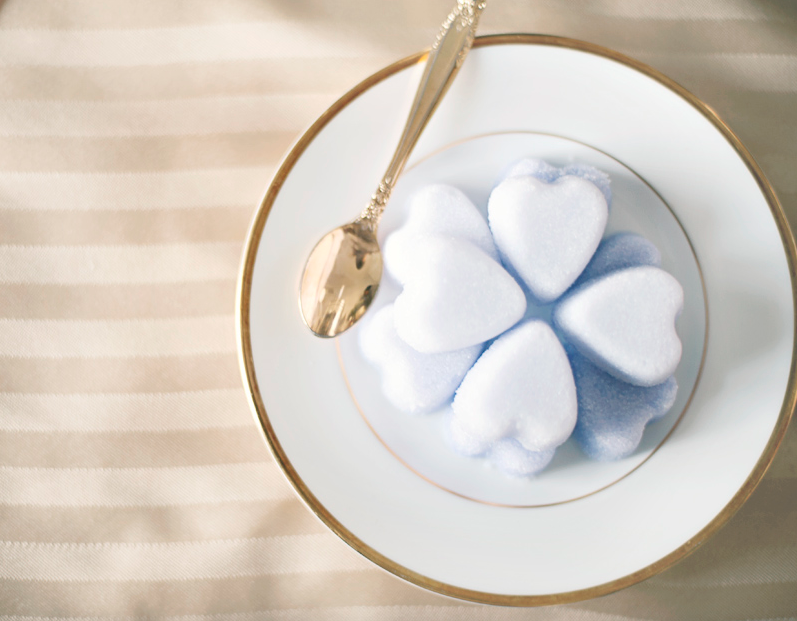 Remember when you used to throw on some pearls, place all your teddies around a table, pour them some tea, and talk endlessly about how delicious the tea and biscuits are & other important happenings? 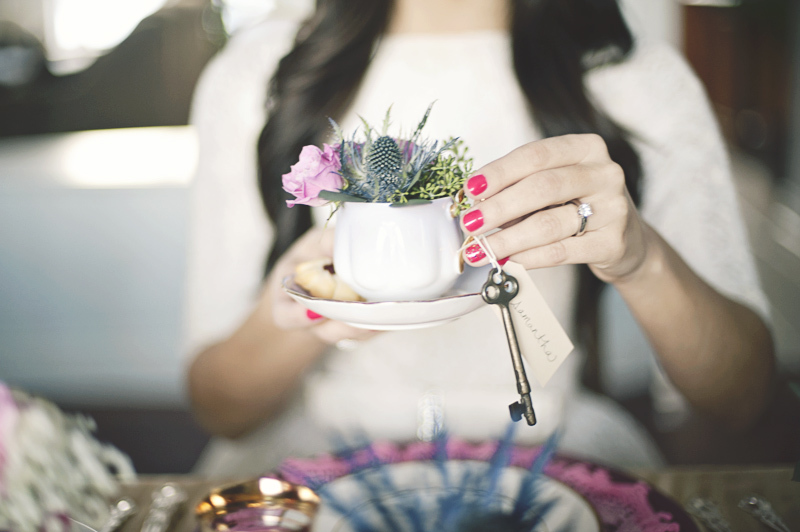 (..maybe add a fantastic-ly horrible English accent..) Well this is precisely the same, just replace your teddies with your favorite ladies and add a sparkly diamond to your ring finger. 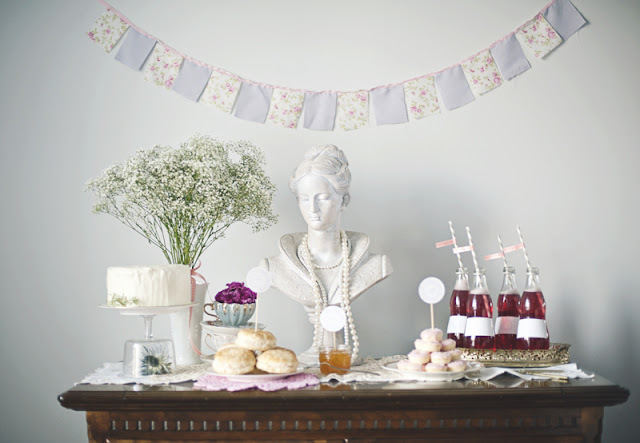 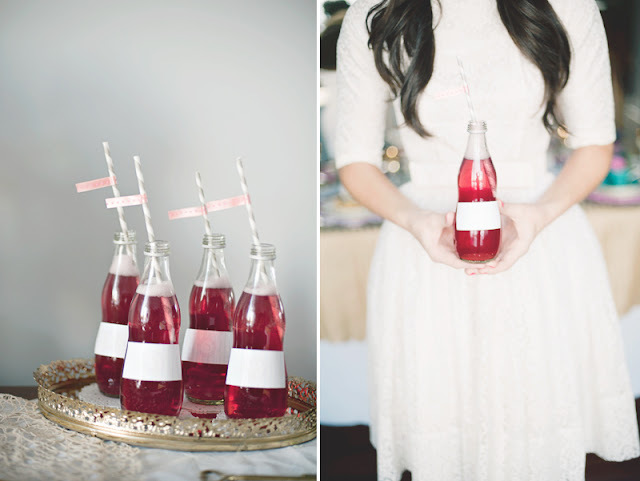 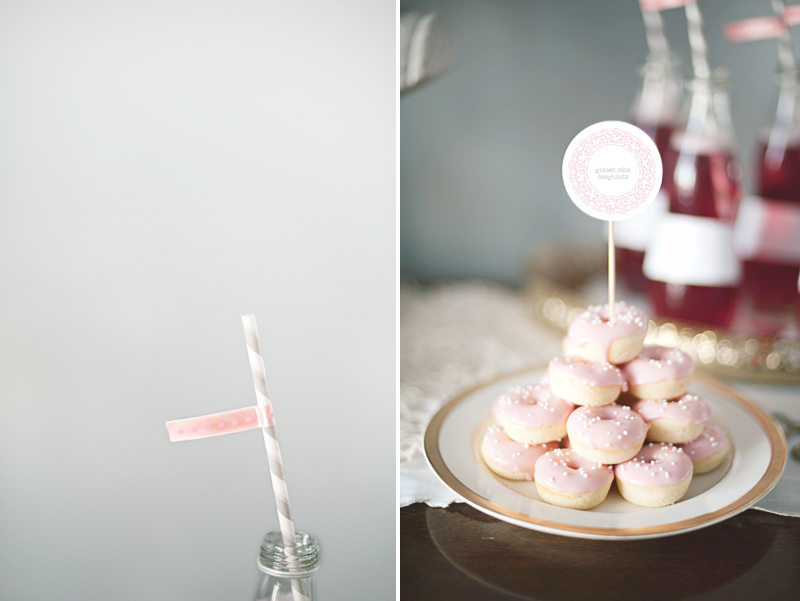 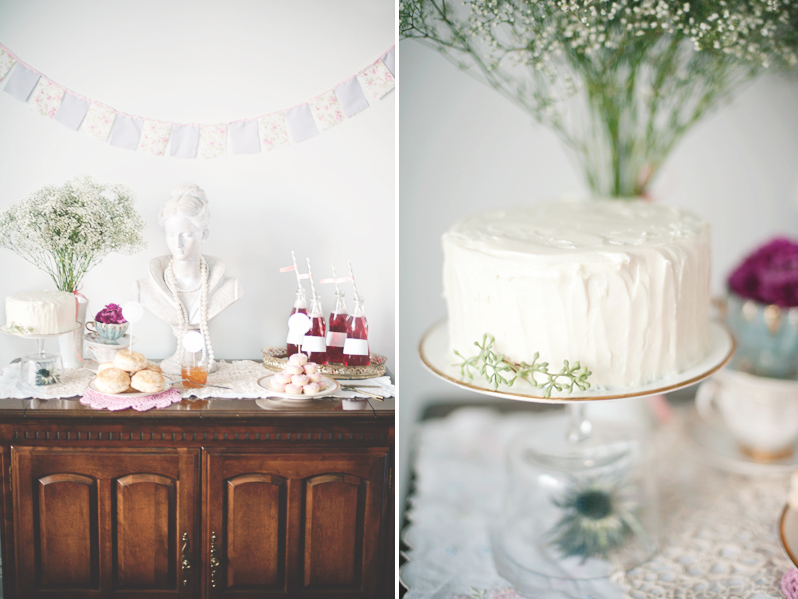 Although a wide variety of fresh tea was the focal point of this lovely little celebration, it could not have been complete without homemade glazed donuts, grandmas famous almond cake with vanilla frosting, fresh biscuits, berry cookies & refreshingly delicious fruit punch. 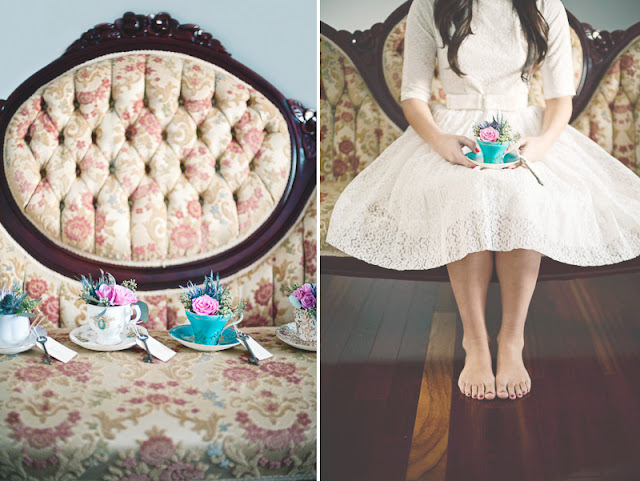 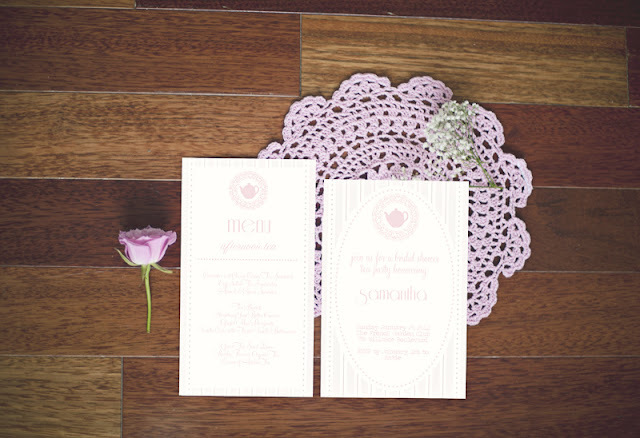 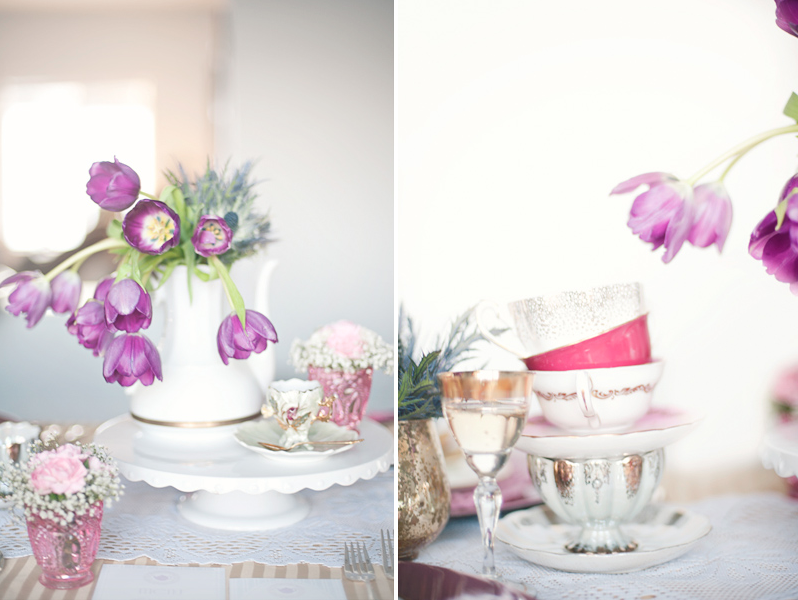 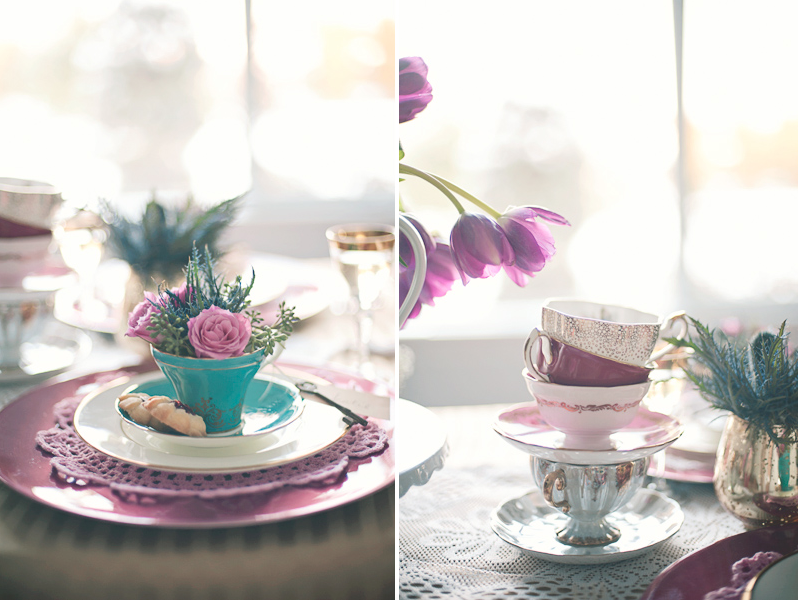 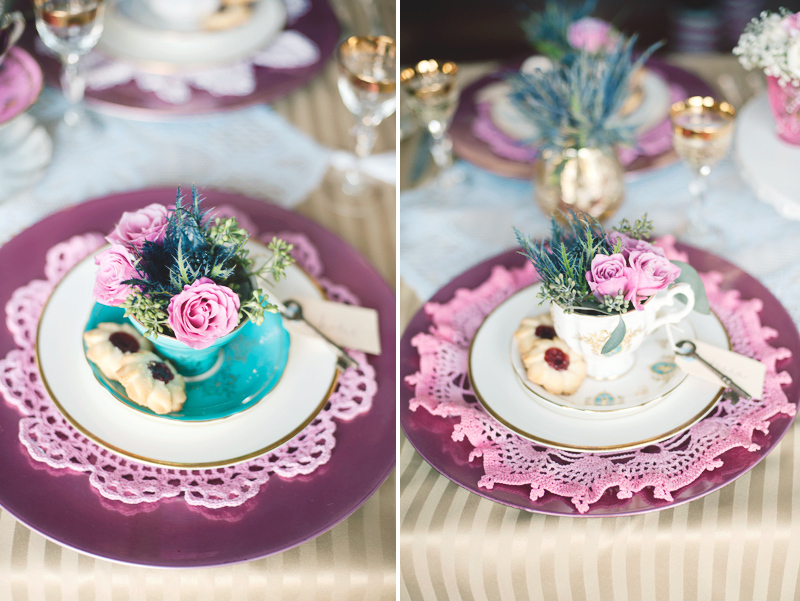 A place setting was designed for each guest which included a vintage tea cup with a fresh flower arrangement inside. 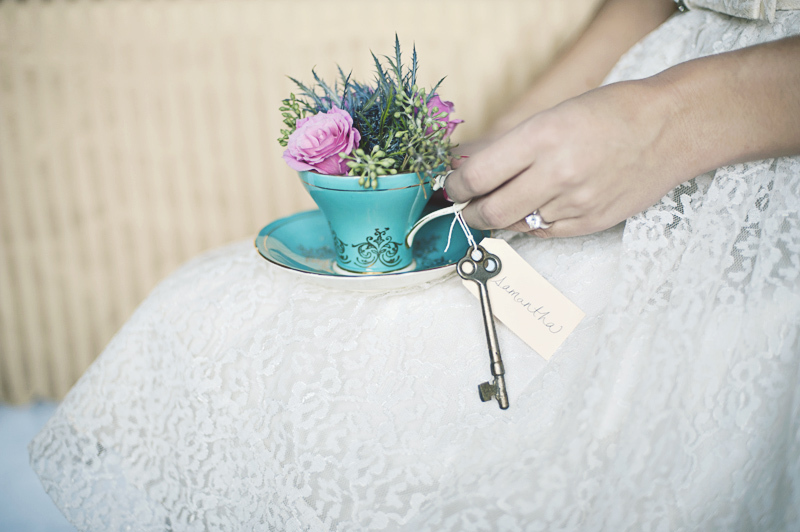 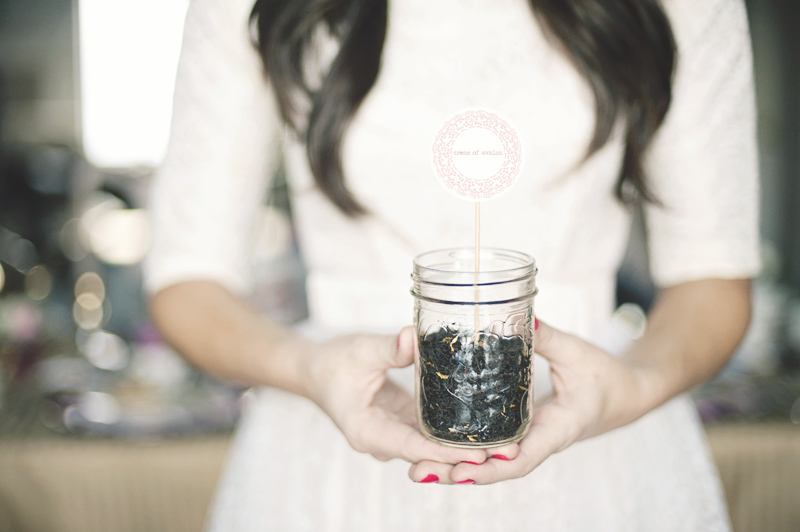 The lucky guests took home their one of a kind arrangement & cup as a thank you for honoring our bride-to-be. 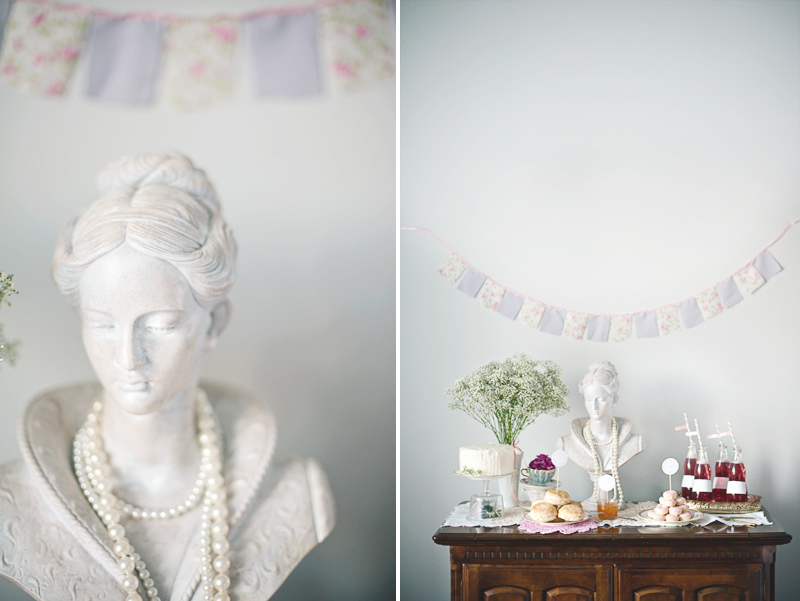 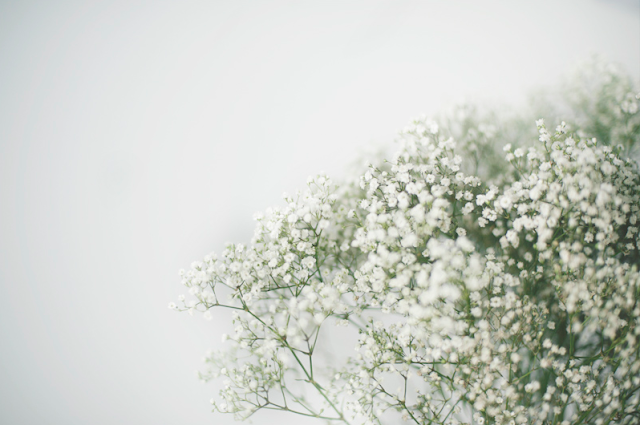 All design, styling, baking, and flowers created by us!